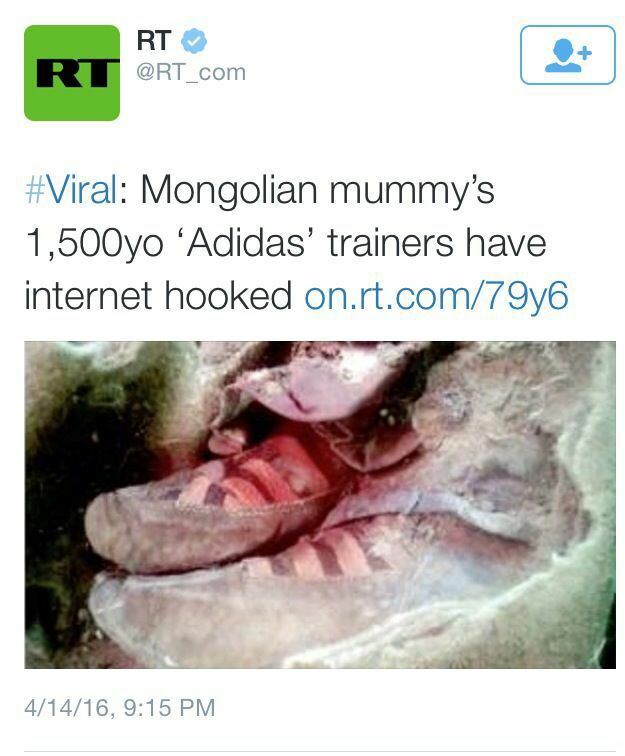 Glowy: A 1,500-Year-Old Mummy Wearing ‘Adidas’ Shoes Discovered In Mongolia. A 1,500-Year-Old Mummy Wearing ‘Adidas’ Shoes Discovered In Mongolia. A recently unwrapped mummy’s footwear appears to be ahead of its time. The 1,500-year-old remains of a suspected female discovered in Mongolia’s Altai Mountains included well-preserved boots that ignited a torrent of comment on social media. An image of the body ranked among Facebook’s trending topics Thursday after users compared the footwear to Adidas shoes because of its three-stripe design. Other items archeologists found in the grave include a saddle, bridle, clay vase, wooden bowl, iron kettle, the remains of a horse, a leather bag and clothes. But the mummy’s no label queen, in fact, researchers told the Siberian Times in a recent interview that they believe she’s a commoner. “This person was not from elite, and we believe it was likely a woman, because there is no bow in the tomb,” Khovd Museum researcher B.Sukhbaatar explained, adding that the cool temperatures helped preserve the grave. The discovery is believed to be the first complete Turkik burial found in Central Asia. Labels: 1, 500 year old mummy, Adidas, history, Mongolia. Wow! 1500 years ago. 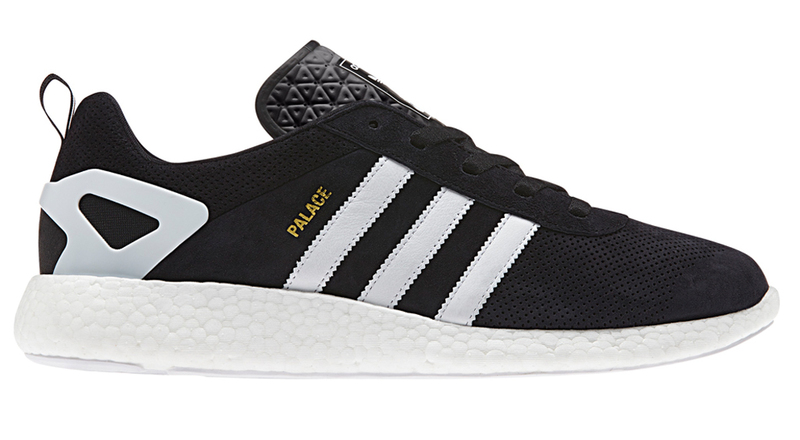 Then this addidas shoe is good. Wetin researchers dey find for people grave? Hey, sweetie! Where are you? How are you? ?